It's getting to be that time of year to cook and bake all kinds of delicious food! I like to go through all of my family's favorite holiday recipes and write them down for my own recipe collection. It's also fun to include my favorite recipes on cute recipe cards to pair with cooking utensils as wedding or Christmas gifts. 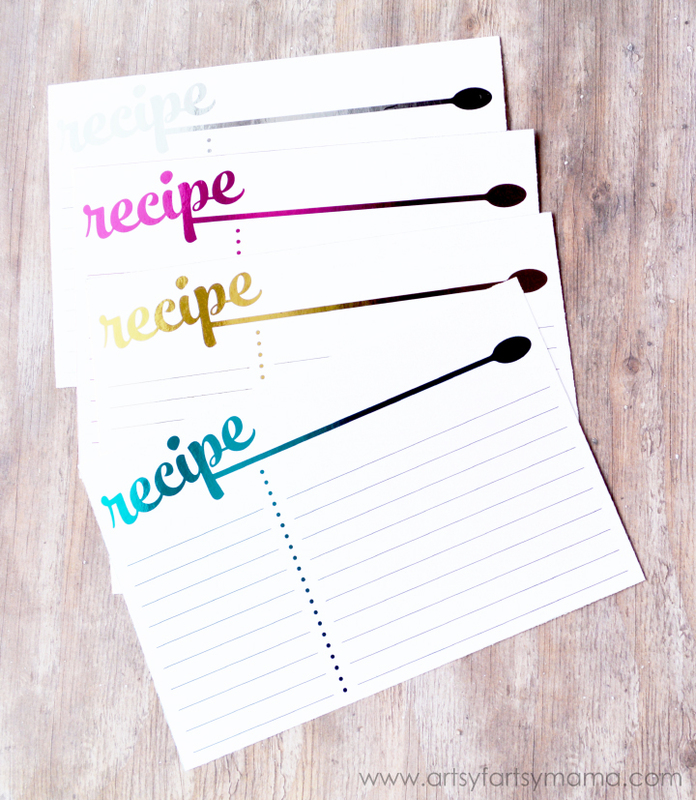 I've designed a recipe card that can be dressed up a bit by the Minc that will really make your favorite recipes stand out! 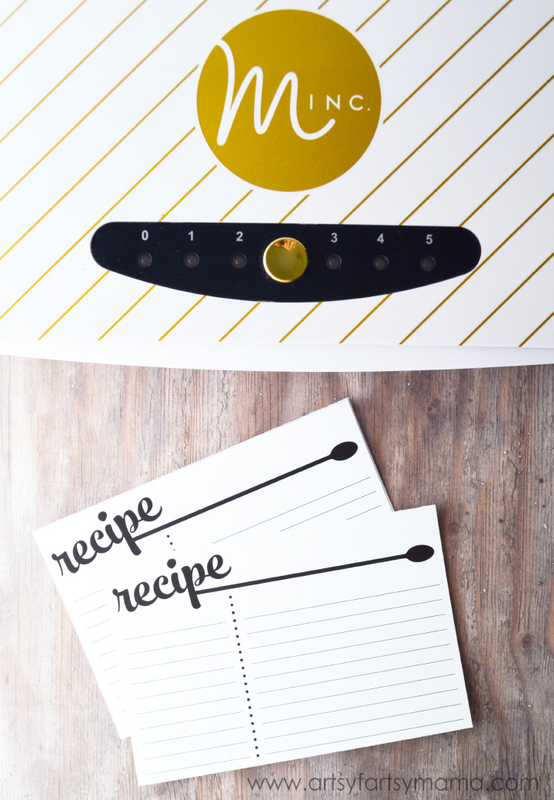 There are tons of ways to foil projects, but none are as easy and quick as using the Minc, especially for this project!! If you haven't heard of this yet, the Minc is an incredible crafting tool designed by Heidi Swapp that turns laser printed items (with Minc products or your own custom designs) into a beautifully foiled creation in just seconds. You can see more about the Minc and all it can do in my previous post introducing the Minc! Of course, to give your projects touches of colorful shimmer, you need foil. 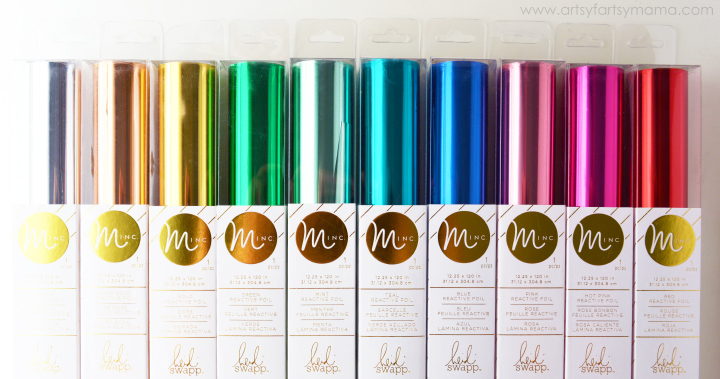 You can find reactive foil made just for the Minc in a rainbow of colors! Using sharp scissors, cut a piece of foil in the color of your choice to cover the recipe card. 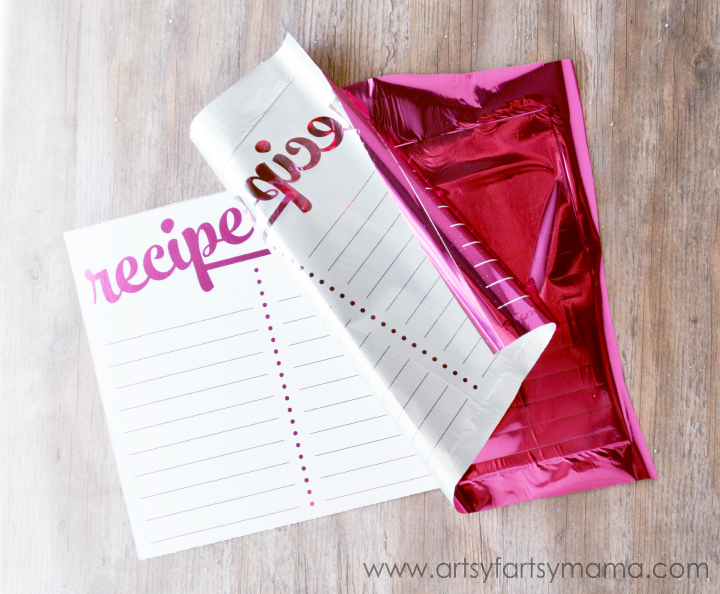 Open the carrier sheet and place the recipe cards inside face up. Carefully lay the foil pieces over the cards (color side up) and lightly press down and make sure none of the text is uncovered. Carefully lay the top of the carrier sheet down over your project and smooth it out with your hand. Place the carrier sheet into the Minc until the rollers grab it to pull it through the machine. Let it run all the way through, then carefully open the carrier sheet. Remove the paper and foil, then slowly peel the foil off the paper starting at one corner. Now your recipe card is foiled and looking gorgeous! It really is as simple as that. 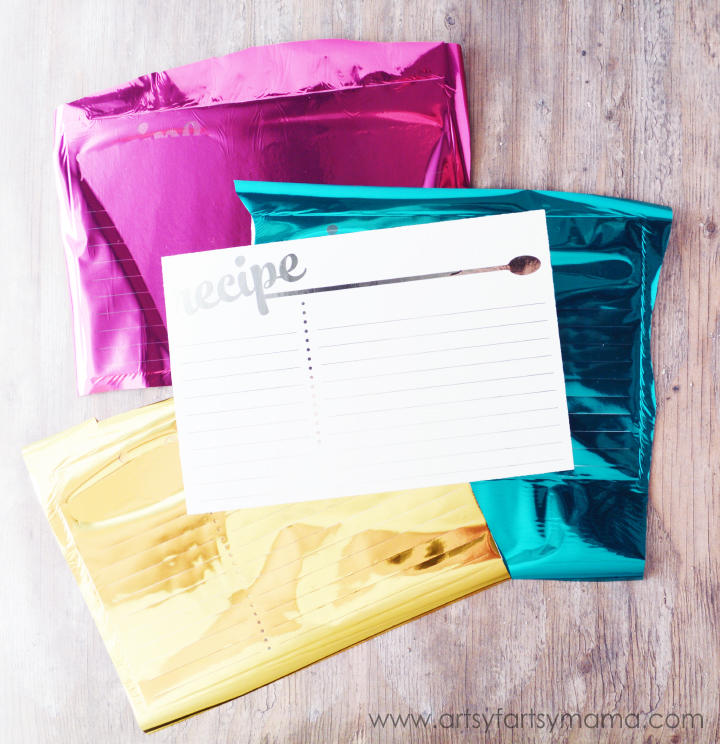 Depending on the colors of foil you choose, your new recipe cards can range from chic to colorful and fun! My recipe book is a lot more fun to look through now, and I can't wait to create more to give away this holiday season. What color(s) would you make your recipe cards? Don't you just want to foil everything now? You can find the Minc starter kit and accessories at Hobby Lobby and Jo-Ann, as well as at some local stores and online shops. There are so amny amazing colors to choose from! What a fun project. I have wanted to make special recipe cards for our family favorite recipes. I might have to ask for one of those for Christmas. These are SO fun, Lindsay! I am loving the colors! These are so cute and I love the colors. Very creative! I LOVE these!! Would you be interested in making a set of these for purchase?? ?